Cape 31 Sailing. Image by Greg Beadle. After being approached by Mike Giles in early 2016 to discuss propulsion for a new design the ‘Cape 31’, Seascape Marine Services jumped at the opportunity to be involved in this exciting project. After various proposals and discussions, the decision was made to fit the Yanmar 2YM15 x SD25 sail. The 2YM15 power-to-weight ratio, relative ease of installation, compactness of the configuration as well as great fuel consumption were all contributing factors. In addition, a reverse sail drive installation (sail drive leg forward of the engine) was a non-negotiable in order to ensure the engine configuration & ancillaries did not hinder the Cape 31’s performance capabilities. Fitted with a Gori 2 blade folding propeller (approved by Yanmar) the 2YM15 reaches its rated output of 3600RPM, ensuring the vessel can handle any situation comfortably. The Gori folding props also offer the least drag when under sail and racing conditions. The 2YM15 also meets the strict EU & US emission regulations making it suitable for any foreign buyers. Serviceability of the engine is easily overcome with the fact that the 2YM15 x SD25 has “one side” serviceability, even with the compactness of space around the engine installation. All engine installations are commissioned in the factory prior to launch, to ensure the installation meets Yanmar specifications & the Cape 31 factory’s strict requirements for the standard of quality. 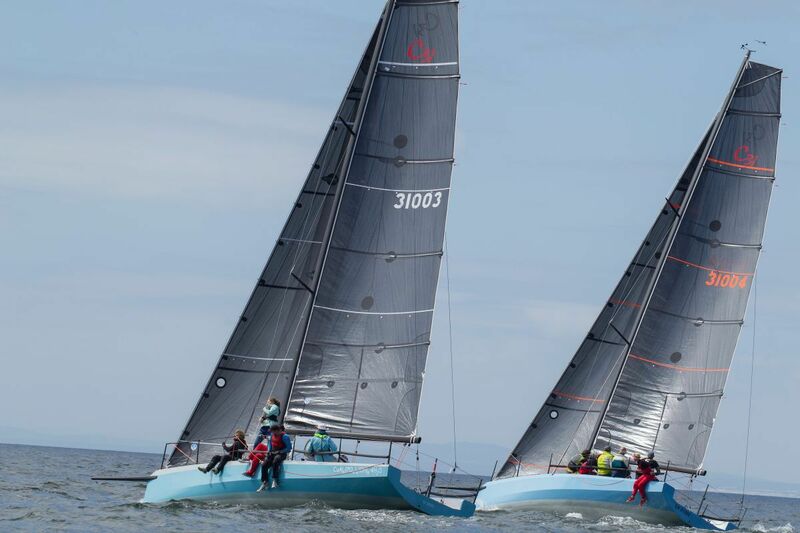 With 12 boats built and now a dedicated racing series for the design the Cape 31 is proving to be a very popular boat and Seascape Marine are proud to be a partner in this project.